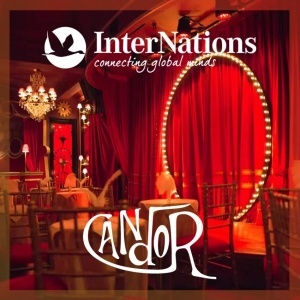 Get ready for a thrilling night of Live Burlesque stage performances and other unique theatrical acts at one of the hottest new venues in town…Candor. Scheduled to have the Grand Opening in March at their fabulous new location in the Art Deco Lyceum Theater, Candor is giving InterNations members an exclusive sneak peak at what is truly a one-of-a-kind experience not found anywhere else in Shanghai. The first act will start soon after the event starts so make sure to get their on time to see the show! Candor was given the CityWeekend award for “Most Outstanding Cocktails” in Shanghai and will provide InterNations with a special cocktail menu for the party. A small appetizer food menu will also be available. Your Ambassador will happily be at the door to greet you. As always, be ready to meet some amazing people from all over the world. This is going to be a fun night!